Our machine shop is staffed with trained and experienced technicians who are able to provide customers with a wide range of products to tight tolerances and a high-class finish on our CNC lathes. 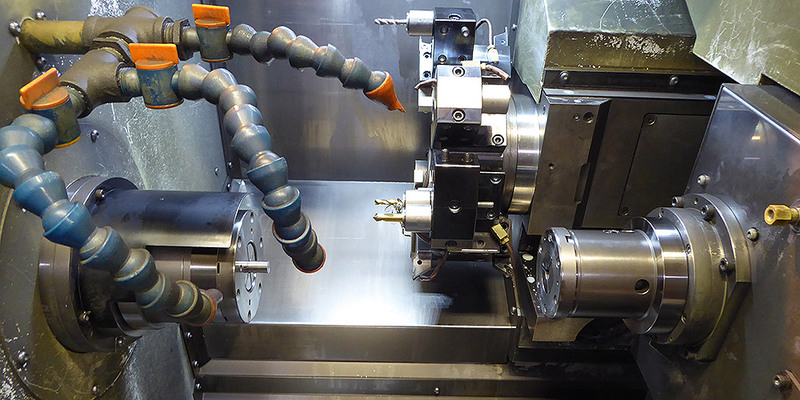 The CNC lathe section is experienced in producing a wide variety of components from prototypes, one offs and low volume batch production all the way to larger batches of several thousand. The capabilities of our staff are further enhanced by the utilisation of "state of the art" off line CAD/CAM drawing and programming systems. CNC turning capacity up to 350mm diameter chucking and 70mm diameter bar feed. CNC lathes with sub spindle and power tooling for higher volume work.